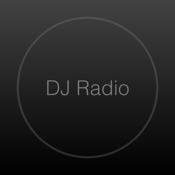 DJ Radio is hand-selected by electronic music enthusiasts from all corners of the globe. Find your favorite styles including House, EDM, Dance, Lounge, Chillout, Techno, Trance, Ambient, and many more within the intuitive new layout. DJ Radio makes it easier than ever to find and discover new music. Explore for DJ Shows and live broadcasts.